The first Arabic travel guide to the Netherlands. It is about Amsterdam Noord. Mediamatic made this guide during the summer of 2010 with a group of editors and a team of 22 artists from Egypt, the Middle East and the Netherlands. 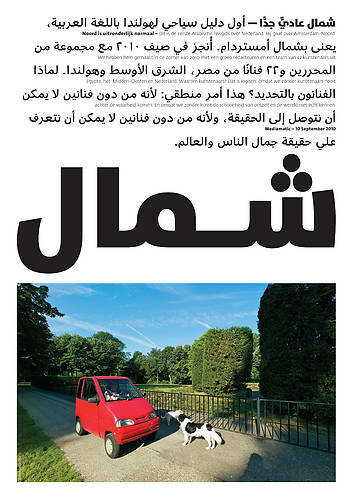 The travel guide was launched on September 10, 2010 and distributed as a supplement of Amsterdam’s main daily newspaper Het Parool. The printed version was also available at the Noord exhibition till November 9, 2010. 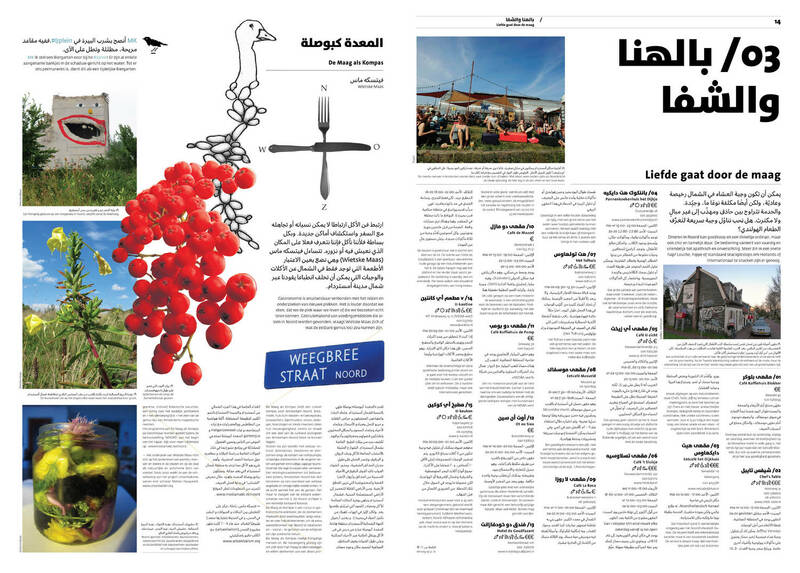 Travel guide contribution (page 13) Wietske Maas ‘De Maag als Kompas’ an edible mapping of north. Go to Mediamatic Noord printed travel guide to see each page lay-out of the digital Dutch-Arabic version of the travel guide supplement.